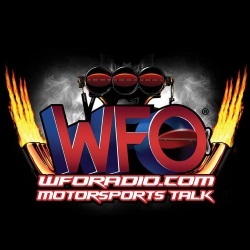 POMONA, Calif. (February 12, 2019) – Expecting big things out of the 2019 season, Top Fuel driver Mike Salinas delivered a strong starting point at this weekend’s season-opening Lucas Oil NHRA Winternationals at Auto Club Raceway at Pomona. 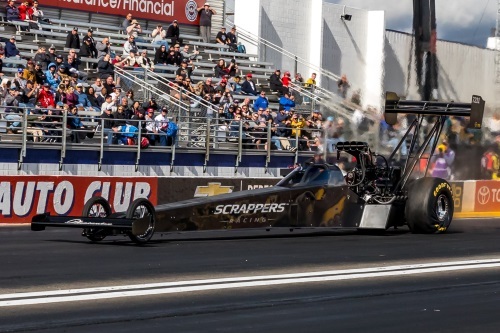 Salinas piloted his Scrappers Racing dragster to a semifinal finish on Monday, posted career-best runs and ran the fastest time of the race, setting an impressive tone for the 2019 campaign with a new team led by crew chief Brian Husen, tuning advisor Alan Johnson and Arron Cave. 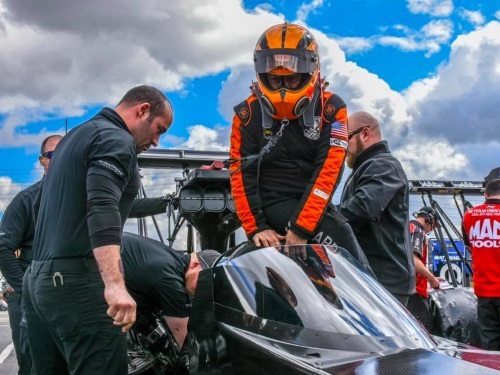 Salinas entered 2019 with big expectations and then sent a strong message to the rest of the Top Fuel class that he will be a top contender all year. But the chance to display that on raceday was delayed until Monday, as rain postponed eliminations. Salinas and Millican were the only pair not to run in the first round on Sunday, putting the California native in the first-time position of racing on Monday. But any worries about performing right off the bat were quickly put to rest by Husen and Johnson. That was apparent right off the bat, as Salinas went 3.682 at 333.74 mph to knock off Millican in the opening round. He followed with a 3.685 at 334.40 – good enough for top speed of the weekend – in his second-round matchup with rookie Austin Prock, setting up a monumental race with defending world champion and No. 1 qualifier Steve Torrence. Salinas put together another strong run, going 3.687 at 318.47, but Torrence was slightly quicker off the line, using his 3.688 at 329.50 to nip Salinas by eight feet in a thrilling side-by-side semifinal race. It left Salinas excited about the potential of the team, but also motivated to improve his own performance. Partners Global Electronic Technology and Pleasanton Ready Mix will join them in taking on that challenge, and both were with Salinas this past weekend. Salinas inked the deal with Pleasanton just days before the Winternationals and his strong performance this weekend could pay dividends off the track as well. Salinas and the Scrappers Racing Top Fuel team return to action on Feb. 22-24 at the NHRA Arizona Nationals in Phoenix. 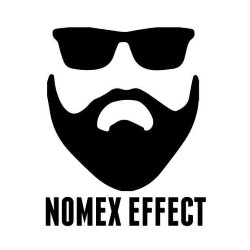 As a kid, Mike Salinas was introduced to racing by his father, who raced his hot rods during the ‘60s and ‘70s at Fremont Drag Strip and Little Bonneville. It was at the Fremont Drag Strip where Salinas met the iconic Don Prudhomme, who let him sit in his dragster. This meeting would later fuel a lifelong dream to build his own Top Fuel Dragster that highlighted Salinas’ affinity for hot rod designs and a nostalgic flair. 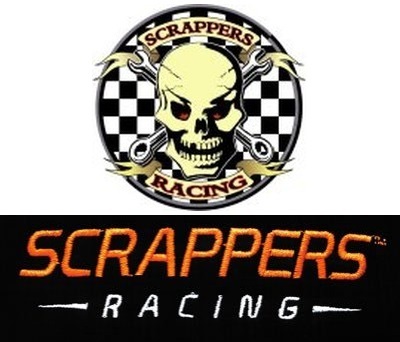 A native to San Jose, California, Salinas strategically founded Scrappers Racing right in the heart of Silicon Valley, his hometown. This family-oriented team is supported by his wife, Monica, and their four daughters, Jasmine, Jacquelin, Jianna, and Janae.